Academic and Athletic Development (AAD) is the parent society of Edmonton's most innovative sports alternative programs. 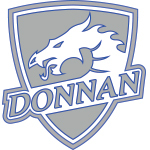 At Donnan: Hockey, Lacrosse, Sport Fit and BJJ and at Vimy: Hockey, Lacrosse, Sport Fit, Outdoor Pursuits, Baseball and Softball. These programs operate within the Edmonton Public School Board to deliver required core curriculum along with sport specific training. Students spend either an afternoon or a part of their morning on the ice, on the field, or at other facilities conducive to long term athletic development. 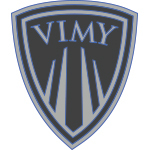 Check each campus' logo below to learn more about the opportunities available in our programs.